After another wonderful Christmas, it's onto the next holiday - New Year's Eve! And if you're like me, that means one thing... it's time to go dress shopping. Unfortunately, I did not do my shopping ahead of time this year (I know, I can't believe I was so unprepared!) And being in the Dominican, I think I've lost my opportunity. But lucky for you, there's a few days left to shop or order online! 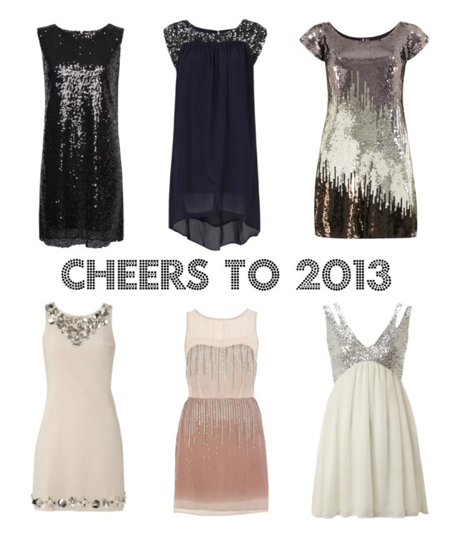 New Year's Eve attire typically consists of cocktail dresses adorned with glitter, sequins or gems. And sometimes, it's nice to stick to tradition. It's time to glam it up! Whether you're into light or dark colors for the big night, these dresses have it all - style, class and sparkle. Happy shopping!